Most tree species are fed upon by spider mites and many even have their own species. 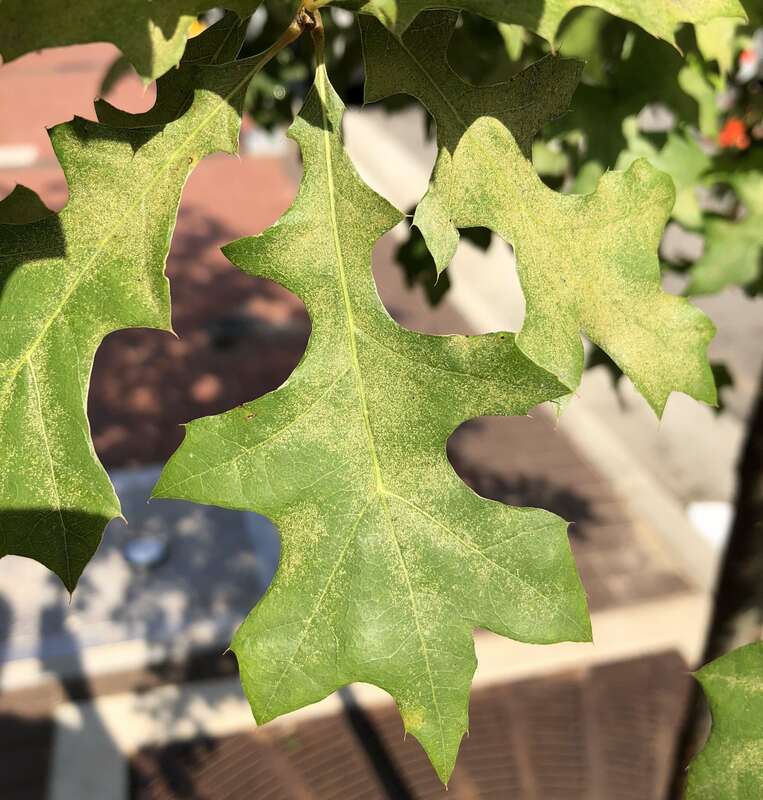 These include maple spider mites, magnolia spider mites, honeylocust spider mite, the generalist twospotted spider mite, and many others.This week I have noticed damage on many pin oaks (Quercus falcata) by oak spider mites (Oligonychus bicolor). Oak spider mites look much like other mites in the genus Oligonychus, which includes the wide-spread pests southern red mite (O. ilicis) and spruce spider mite (O. ununguis). They are dark red to brown with oval to round bodies and orange legs. Oak spider mites overwinter as eggs in the nooks and crannies of bark on their host trees. They have many generations per year and can feed on oaks and related trees such as chestnut, hickory, maple, beech, and elm. Oak spider mite feeding causes stippling damage, which is common among mites. Heavily damaged leaves are dull and yellow, becoming tan as damaged tissue ages and dries. We found that damage increases with the temperature and amount of impervious surface cover around the tree. Trees that infested in summer will have eggs in the winter which will hatch to infest the same tree next year. 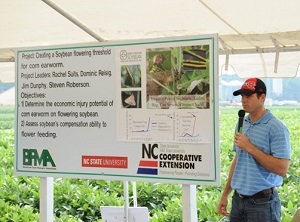 Overwintering eggs may be susceptible to horticultural oil applications. Water trees to reduce stress and don’t overdo it on the fertilizer. It just makes trees more nutritious for mites. More mite management information in a blog post, related magazine article, and in the 2017 Southeastern US Pest Control Guide for Nursery Crops and Landscape Plantings. • So, What Is the Orange Stuff on My Pine Trees?